Step Five: Acknowledge to Heavenly Father, to ourselves, and to another person experienced in 12 principles, the exact nature of our wrongs. In Step Five I have learned that I have 9 character weaknesses, well we all have 9 character weaknesses. They are as follows: 1-feelings of low self worth, 2- anger, 3-resentment, 4-selfishness, 5-self pity, 6-fear, 7-dishonesty, 8-envy, 9-pride. “These nine character flaws are the underlying , motivating force behind almost all our negative behaviors and mistakes.” I personally can attest to the truth of this statement. I have found anger and resentment have been 2 of the flaws that I have dealt with the most. In The Promise of Step Five Elder Richard G. Scott cautioned… “Satan will press you to continue to relive the details of past mistakes, knowing that such thoughts make forgiveness seem unattainable. In this way Satan attempts to tie strings to the mind and body so that he can manipulate you like a puppet.” We place a barricade against the healing power of the atonement of Christ whenever we indulge in self condemnation and self punishment over mistakes we have made in our lives. It is also important to remember that that the person you choose be of the same gender. “We do not choose our spouse, a family member or loved one in addiction.” They are too close to us or too involved with the events we will discuss. The first time I got with a friend that had completed Steps 4 and 5, I was very concerned about her reaction to my confession. Would she ever speak to me again? Would she tell someone else? I was a nervous wreck! But all went well. We prayed first that the Holy Spirit would guide each of us in our time together. I found that I had a friend that had similar experiences as I. What a huge relief to find I was NOT ALONE on this journey. A big burden was lifted off my shoulders!! Step Five for me can happen at any time. For example, if something comes up that I have put off due to fear or pride, I know I must do Step Five. Confess to my Heavenly Father then to my friend in recovery. This is a way for me to keep peace, joy and happiness an active part of my life . 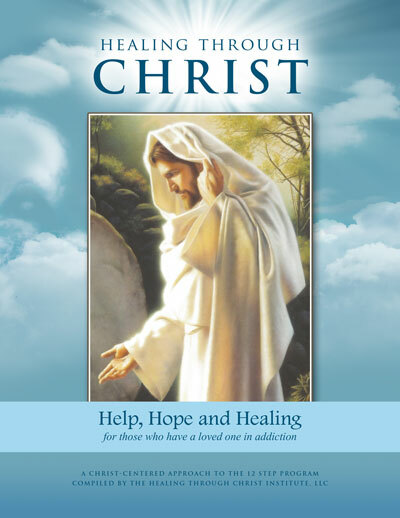 President Monson states in The Promise of Step 6: “When you choose to follow Christ, you choose to be changed.” The Healing Through Christ Support Group program has and continues to help me make those changes!